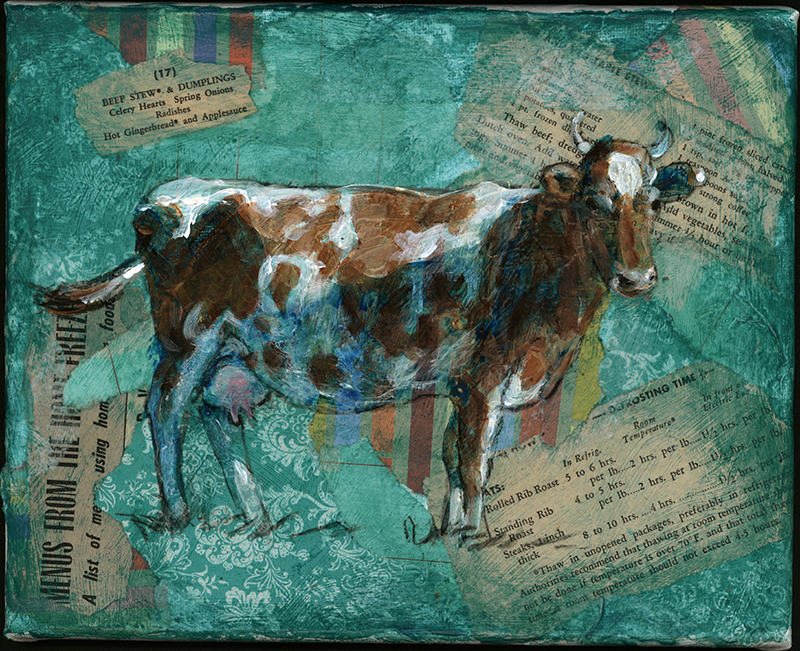 “Aqua Cow”, 10×8″mixed media collage & acrylic on stretched canvas. $45 each or $70 for the pair of cows. Shipping not included.